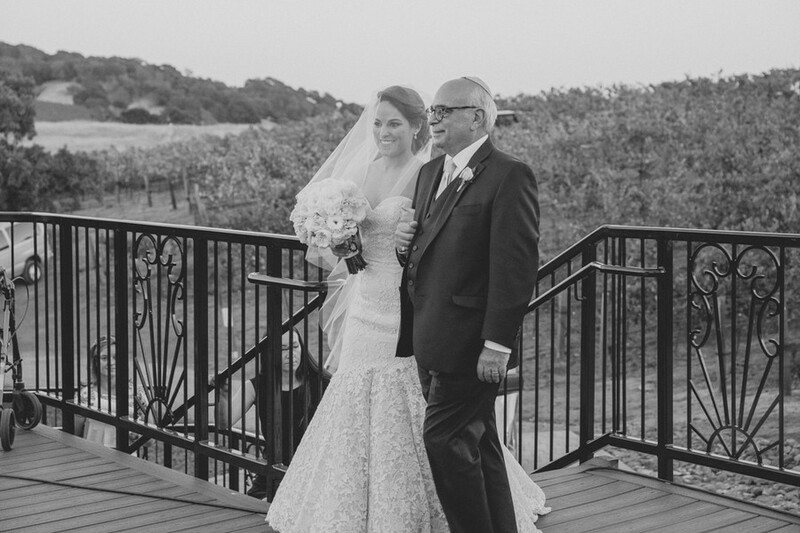 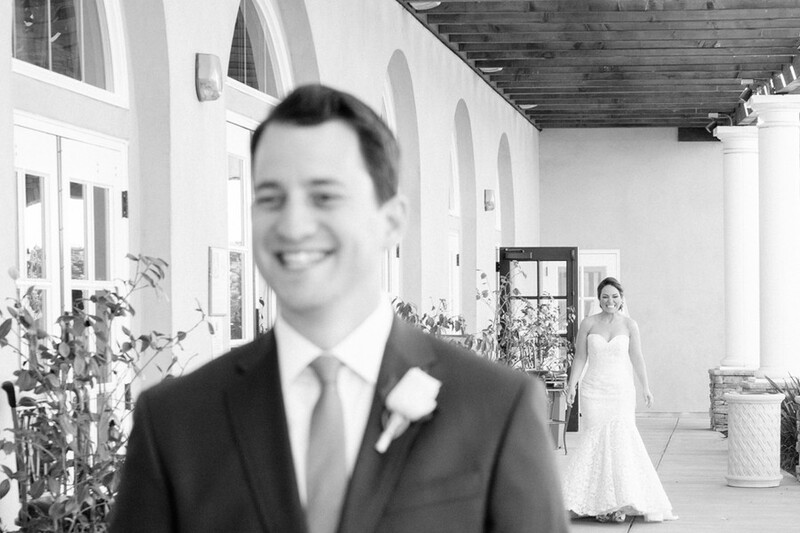 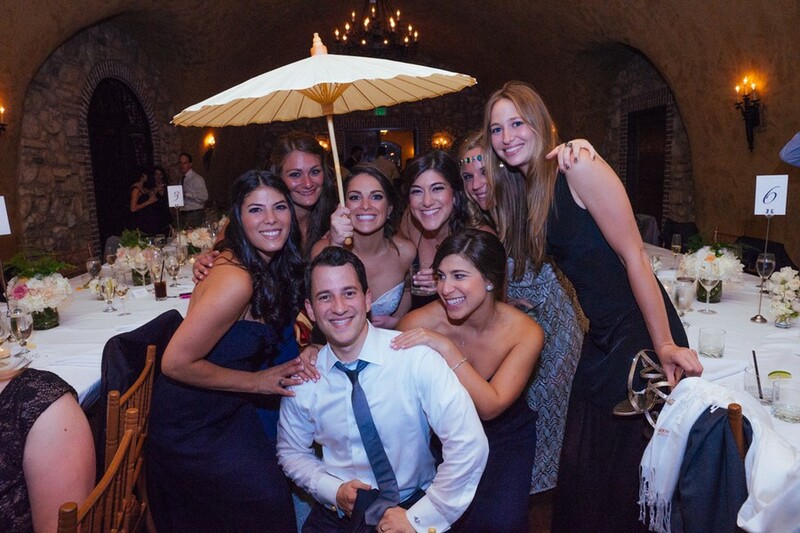 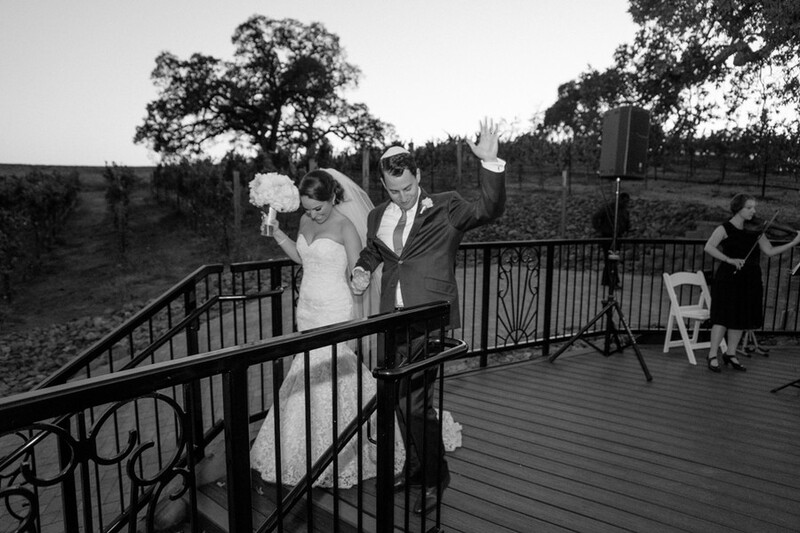 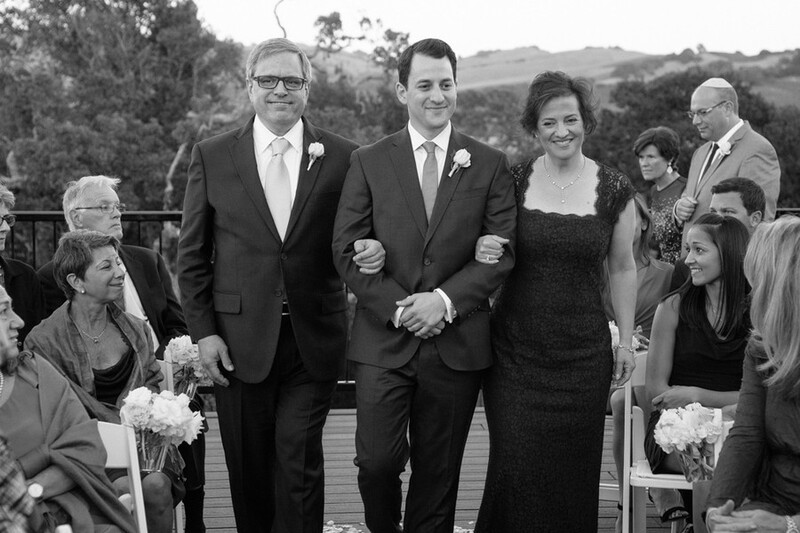 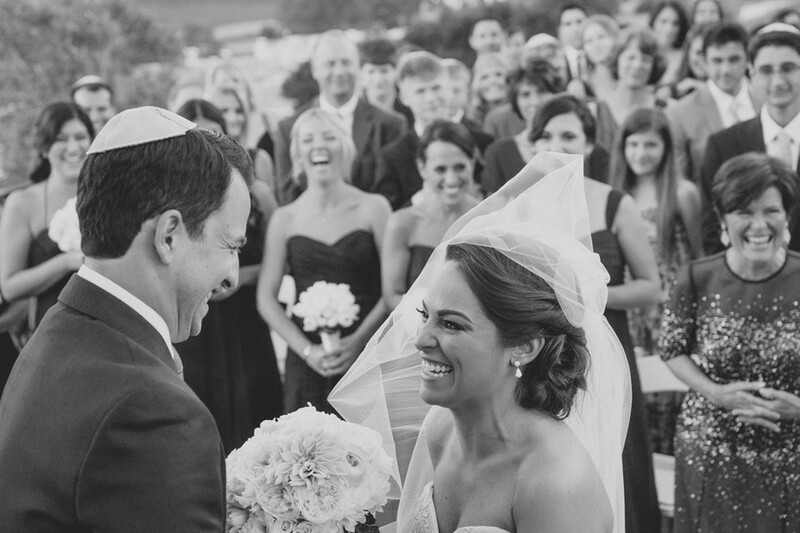 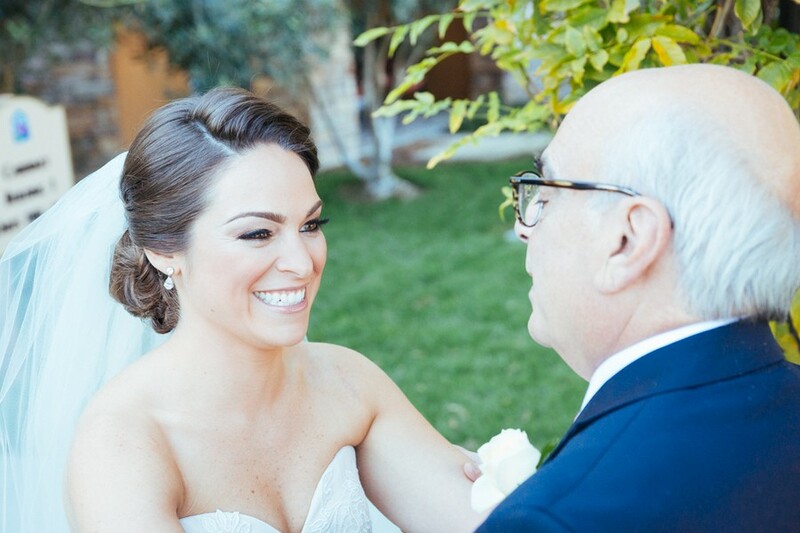 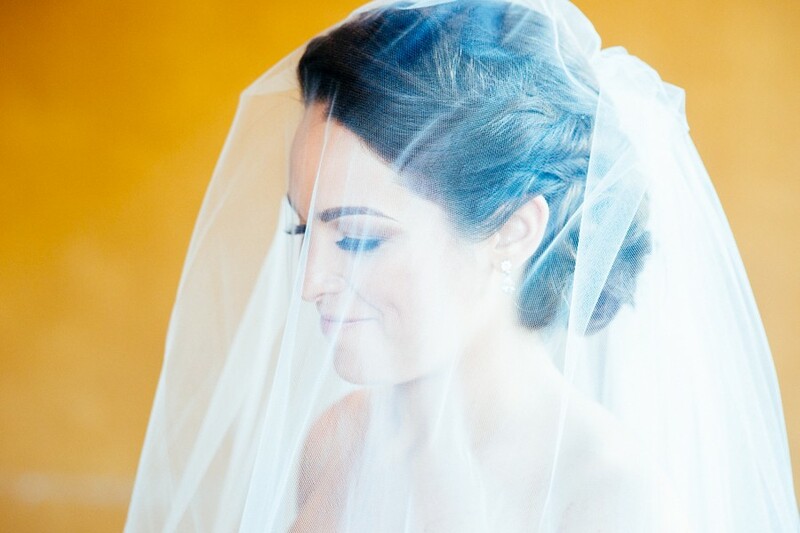 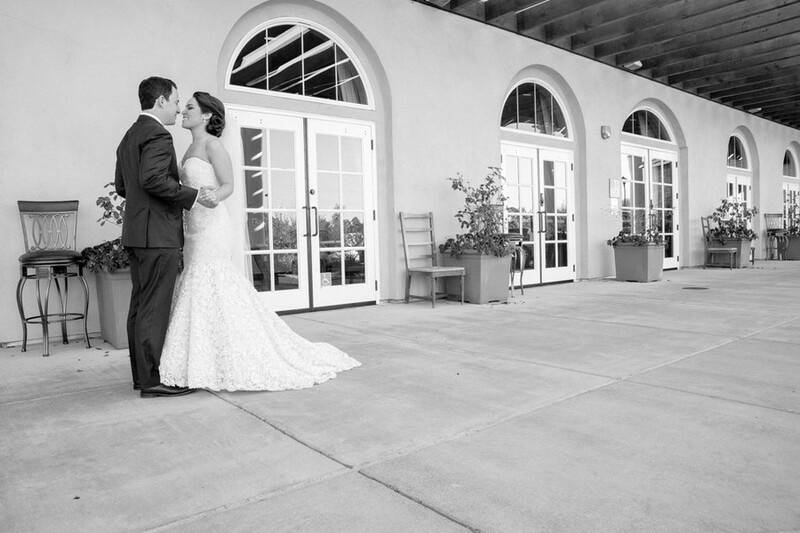 Adrienne and Ari's Napa wedding was a perfect blend of tradition and style. 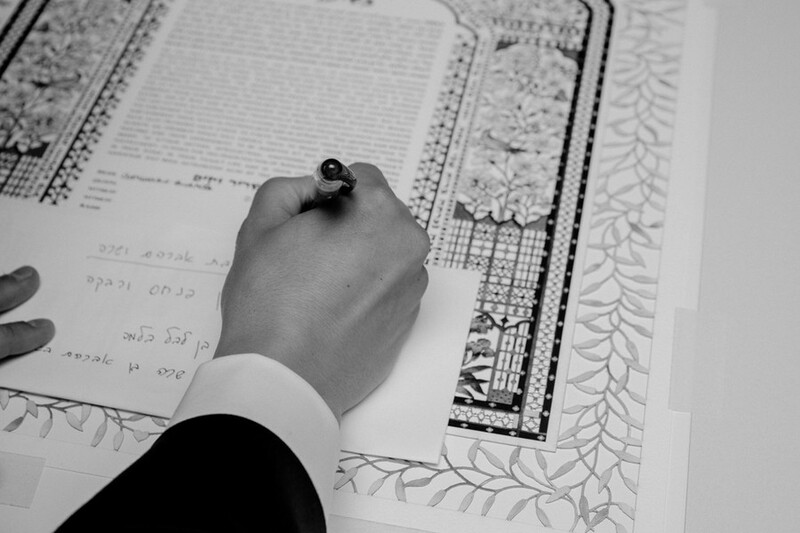 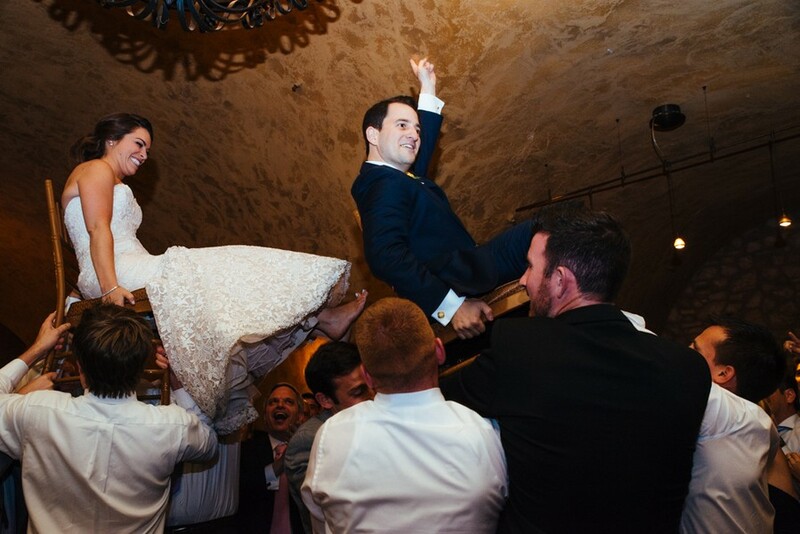 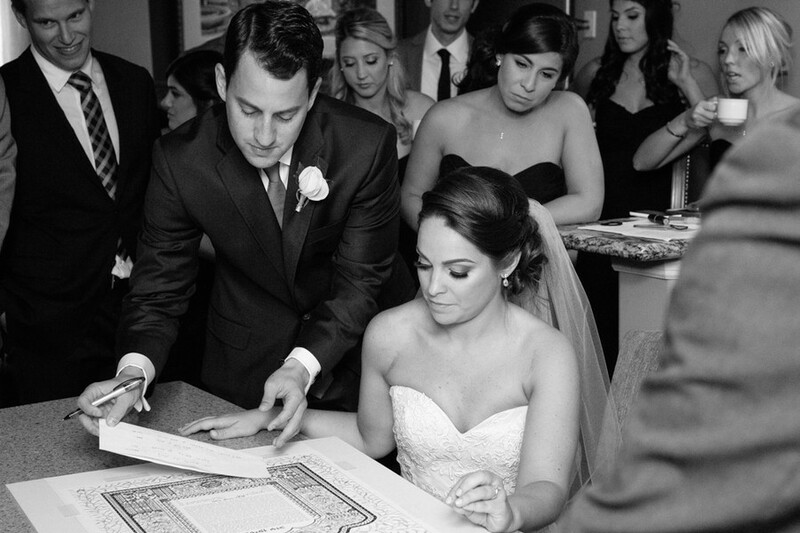 The couple blended their Italian and Jewish heritages by singing Italian songs during the blessings, glass-breaking, and Ketubah. 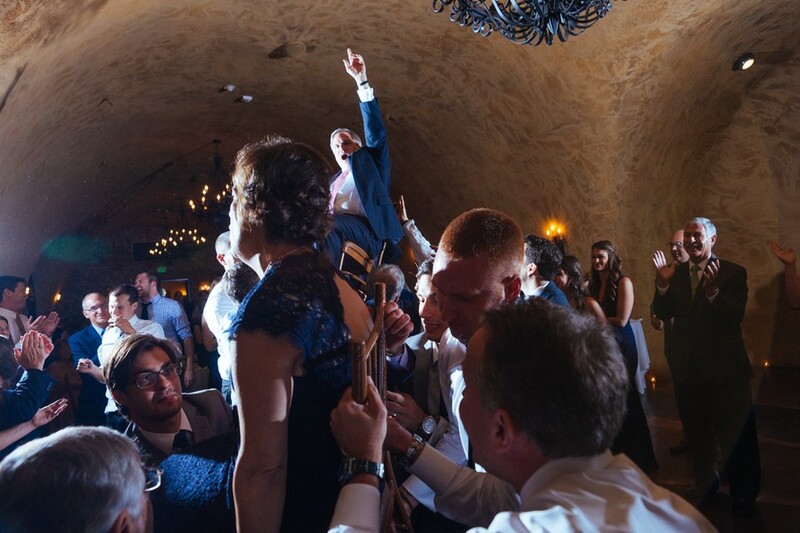 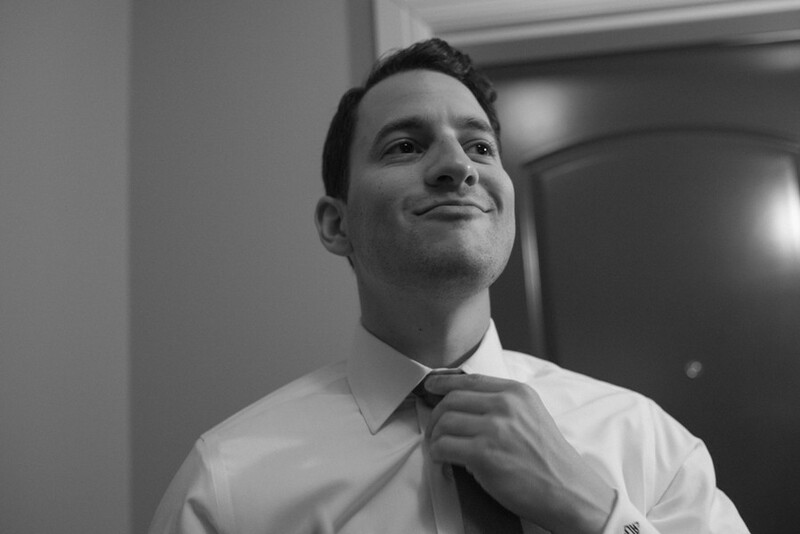 They even named their temporary website for the event pizzabagelwedding.org to cleverly cite the multicultural nature of the event. 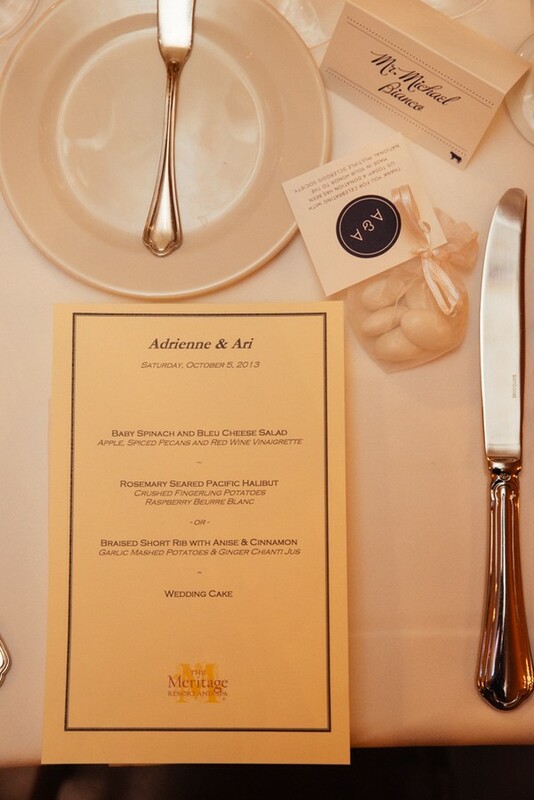 The duo juxtaposed their focus on heritage with a sleek and modern blue and ivory color palette for their attendants and reception. 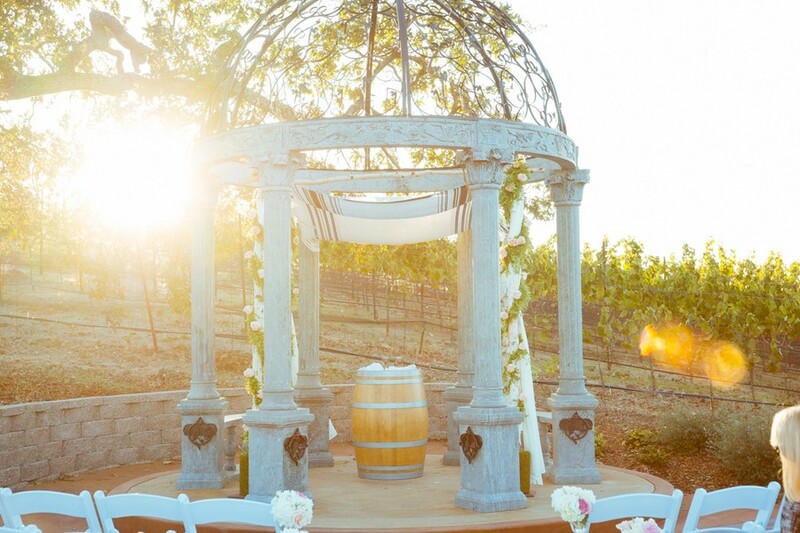 The muted tones contrasted beautifully with the reds and browns of the Wine Country autumn. 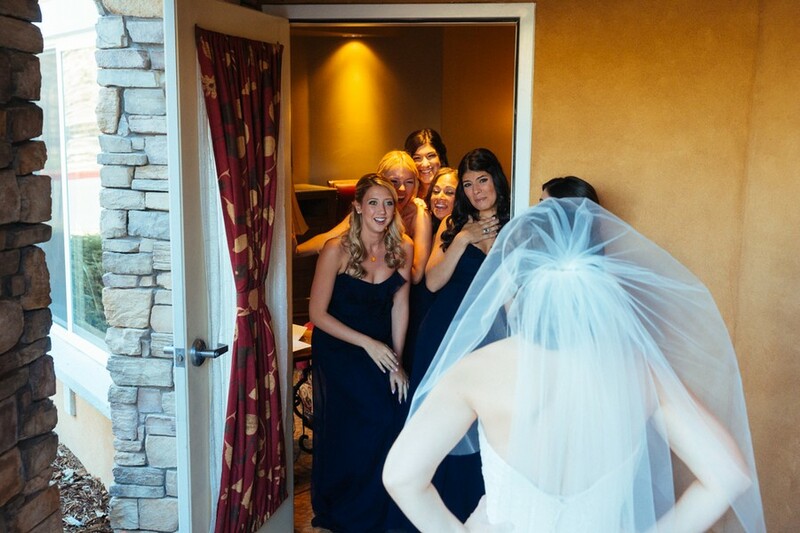 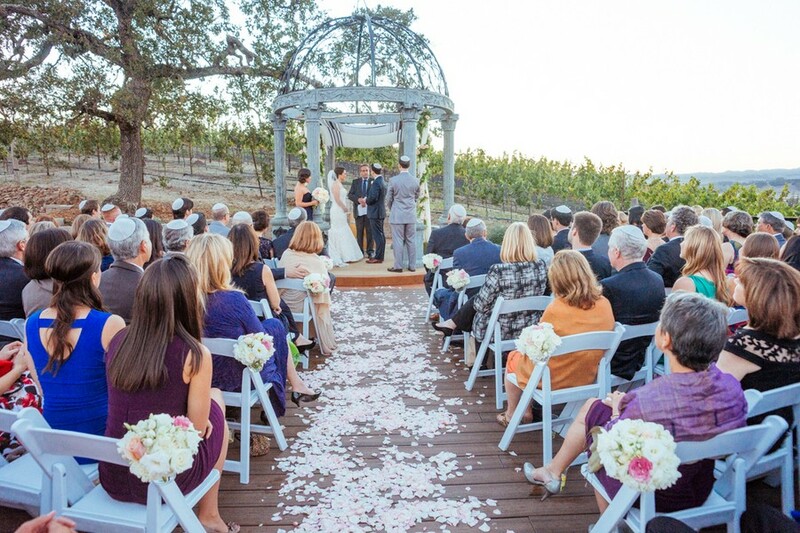 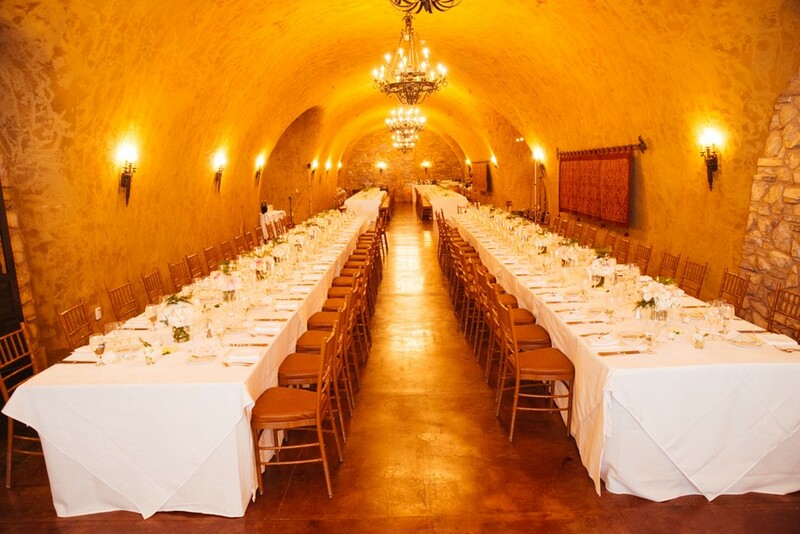 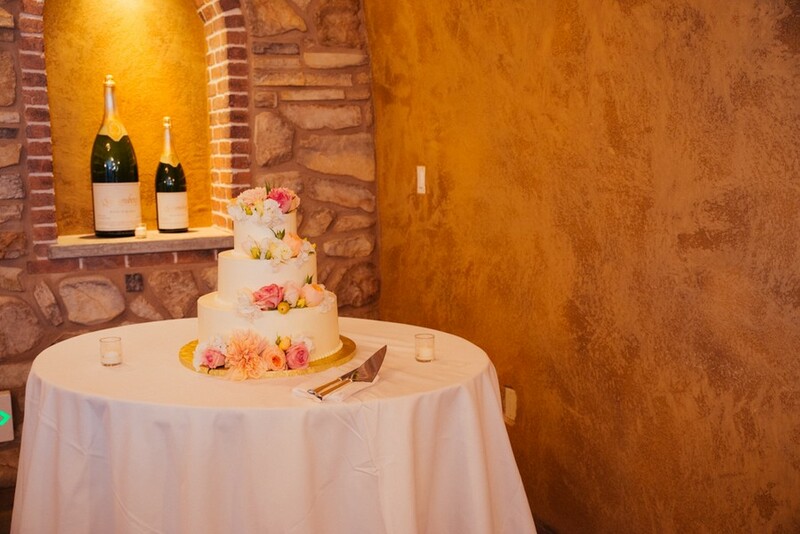 The outdoor ceremony in the Meritage Resort vineyards transitioned indoor to the glamorous cellar, where guests enjoyed a subtle halibut or short rib dinner and a raucous dance floor.